Hey, I would go with AFL because out of these 3, Aflac's one year target price is higher than the price they are trading now. This is a plus from my point of view. Thanks for your comment HHWG! That's much appreciated. Some good options you have there. A history of dividend increases is always a good quality to have in a stock. Thanks for stepping by! You're absolutely right. I hope to add a lot more of those kind of companies in the months ahead. Congrats to you and your country for that win over Brazil for the 3rd place in the World Cup! I really like AFL and I am hoping to free up some capital to buy a few shares. The P/E is very low and a bargain in today's market. Hopefully I can work a few extra hours at work in order to invest a little more. 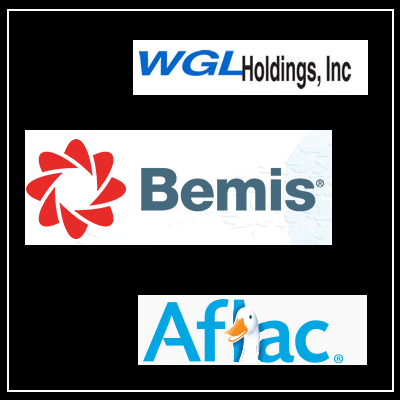 BMS and AFL have been with me since 2007 and I happen to think both stocks are still great companies for the long term. Perhaps AFL is the better bargain these days nut BMS deserves a position in anyone's portfolio. Thanks for sharing. When I look at the chart for AFL and I see what it did in 08-09 (going from mid $60's to under $20) it scares me. I prefer a stock with far less volatility than that. That's one reason why I own another stock you mentioned WGL. It lets me sleep a little easier, yet with that safety comes some other negatives. One being the slower dividend growth which you typically get with any utility. So it all depends on your preference to a degree.